it can certainly be used with older students when the objective is to learn literary devices for creative writing. Students may not need to know the name of each device but, with practice, the devices can be used to spice up creative writing and make it more fun and challenging. Use Owl Moon and teaching literary devices lesson to help you. What are common literary devices? The new bride’s eyes were diamonds, glistening in the sun. Anna trudged through the snow like an elephant. The curious cat caught the motionless mouse. He pounced on the new bed like a cat on a mouse. Hyperbole– figure of speech involving exaggeration. Mother told me a million times not to play ball in the house. Shakespeare could not have written a better story than Mary did. The ice on the lake crackled under her boots. The field of golden wheat whispered in the summer breeze. Owl Moon is full of literary devices. There are sixteen pages of text in the book. Make two copies of each page of text. Number the pages 1-16. Put students into small groups. Give each group a page of text. If the page has a small amount of text, give the group two pages. Make sure that the list of literary devices is visible to all groups. Keep a set for yourself, mark the devices and use as an answer key. Each group needs to write down each literary device they have found and which type it is. For example: Page 2-Simile: “…it was as quiet as a dream"
When two groups are finished, they can trade and check each other’s work to see if they agree. 1.Depending on the students’ level of ability, have each person write sentences, a paragraph or full story using some of the literary devices they have learned. You might want to assign specific devices. Perhaps the assignment could include the use of spelling words or reading vocabulary words. Choose the best examples, one from each student, to share with the rest of the class. 2. If you have time each day for silent reading, instruct the students to keep a log for a week of any devices they have found in their own books. Share them at the end of the week or turn in the log as an assessment tool. 3. Divide the class into two teams. Read a sentence and have individual students from each team take turns saying what literary device the sentence includes. Owl Moon is a perfect choice when your students are learning about literary devices. Use Owl Moon and teaching literary devices lesson and you’ll notice that the students will use the techniques in their creative writing assignments. 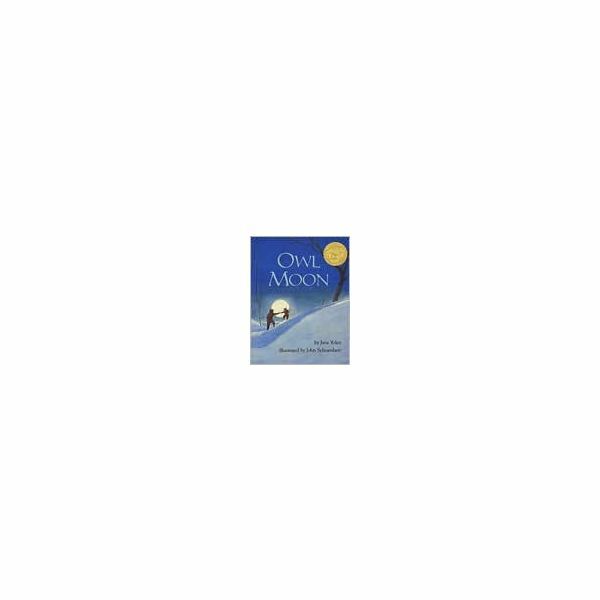 Owl Moon, a Caldecott winner, can be used with children young and old. The young ones will enjoy the adventure of a child and her father as they search for an owl on a quiet winter night. The older children will learn the variety of literary devices used in the text of the book.